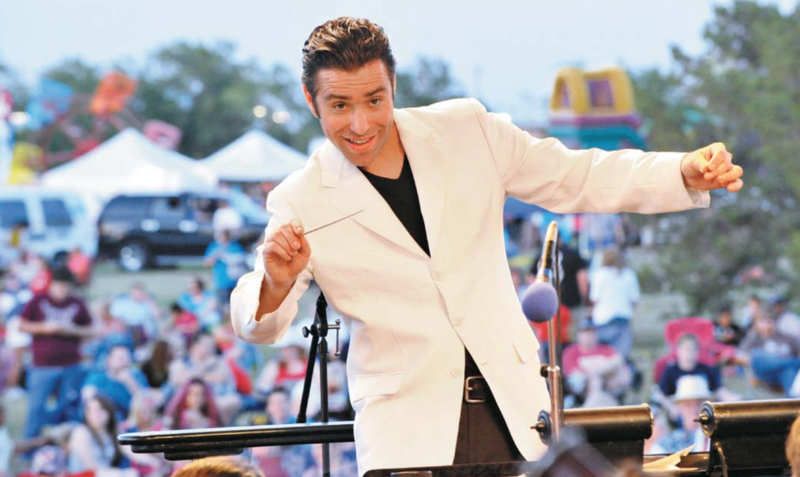 Jacomo Rafael Bairos leads his first concert as music director of the Amarillo Symphony Orchestra on July 4, 2013. This article originally appeared in Symphony, the magazine of the League of American Orchestras. When José-Luis Novo was asked to conduct Latin American music early in his career, he frequently declined, fearing people would peg him as a Hispanic specialist. Novo, who left his native Spain to study at Yale University as a Fulbright Scholar, would sometimes conduct Spanish-flavored works by Ravel or Falla, but also made sure to include plenty of Berlioz or Tchaikovsky on his programs. But in the last five years or so, roughly a dozen American music directorships have gone to Hispanics, including those at the Los Angeles Philharmonic (Venezuelan Gustavo Dudamel), Houston Symphony (Colombian Andrés Orozco-Estrada), Nashville Symphony (Giancarlo Guerrero, from Costa Rica), and Orchestra of St. Luke’s (Pablo Heras-Casado, from Spain), along with several smaller-budget ensembles. Assistant and resident directorships have seen similar trends, reflecting a growing pipeline of talent. Latinas are underrepresented but not altogether absent, with women like Gisele Ben-Dor (born in Uruguay), Joana Carneiro (the Portuguese-born music director at California’s Berkeley Symphony), and Alondra de la Parra (who led the New York-based Orchestra of the Americas from 2004 until its collapse amid labor troubles in 2011, and is now active in Mexico). Indeed, as with American orchestra musicians, Hispanic conductors active in the U.S. still lag far behind their demographic representation in the country as a whole; the 2010 U.S. Census showed that Hispanics account for 16.7 percent of the U.S. population but, according to a 2010 report by the League of American Orchestras, only 2.3 percent of orchestra musicians are Hispanic. Still, some observers are encouraged by the outcomes of vast public music education initiatives like El Sistema in Venezuela and Batuta in Colombia. What’s more, this vibrant mix of nationalities is also the largest-growing segment of the classical music audience according to another study by the League, the 2009 Audience Demographic Research Review, and there is a growing awareness that this audience must be better served. The census underscored this, showing that racial and ethnic minorities accounted for 90 percent of the population growth over the past decade, and that Hispanics are by far the largest part of that increase. Moreover, as Hispanics’ buying power increases, they are going to be voracious consumers of entertainment and media–more so than white audiences, according to a 2013 Nielsen Research study. Bairos says discussions about reaching Hispanic audiences have mostly centered on programming: including more Latin-American pieces throughout the season, and possibly presenting a festival in spring 2015 centered on music from the Americas. “If we start to infuse programs with a sort of Latin tinge, we can hopefully start to reach out to different demographics,” he notes. Thanks to a large influx of immigrants over the past several decades, Houston has become what is sometimes termed a “majority minority” city, with 60 percent of its residents of African, Hispanic, or Asian descent. Hispanics constitute a 44 percent share, according to the 2010 Census, up from 37 percent in 2000. Orozco-Estrada follows Hans Graf, a 64-year-old Austrian who has led the ensemble for twelve years. Orozco-Estrada declined to be interviewed for this article, citing schedule conflicts. But there remains a reticence among Hispanic conductors to draw attention to their ethnicity, and in interviews, some dismissed suggestions that Spanish- or Latin-themed programs can serve as a community-engagement strategy. If anything, most conductors try to blend works by Hispanic composers with Latin-themed pieces from the European canon; a piece by Ginastera, Villa-Lobos, or Golijov will often sit beside Ravel’s Rapsodie espagnole, Copland’s El Salón México, or Bizet’s Carmen. Harth-Bedoya has been working steadily to bring more Hispanic music into the repertory through his multimedia project, Caminos del Inka, which he started in 2007 and has brought to a number of U.S. orchestras. 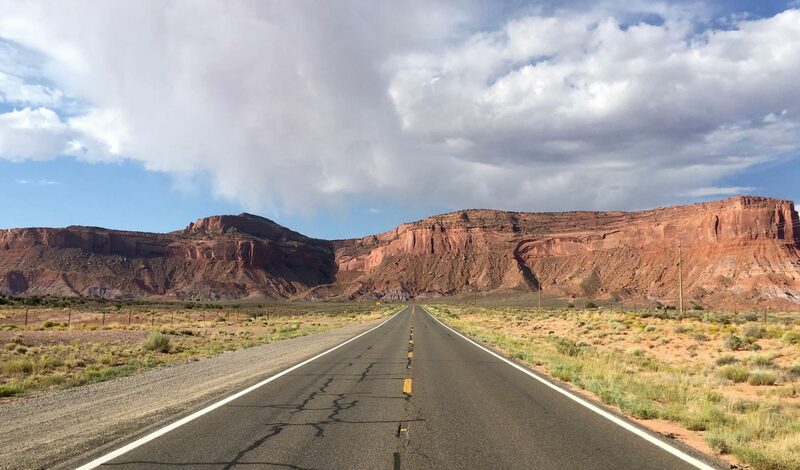 The multimedia project was in- spired by the Inca Trail, a series of ancient pathways that link Peru, Bolivia, Ecuador, Colombia, Chile, and Argentina, as it explores and highlights the classical music of South America. But Harth-Bedoya says it’s not about targeting audiences, and that he has taken it to cities like Oslo, Norway and Helsinki, Finland—neither of which has a large Hispanic population—and received an enthusiastic response. part of the natural ebb and flow. He disputes the idea that orchestras select conductors specifically to connect with Hispanic communities. “I don’t think orchestras are seeking that out particularly,” he says. 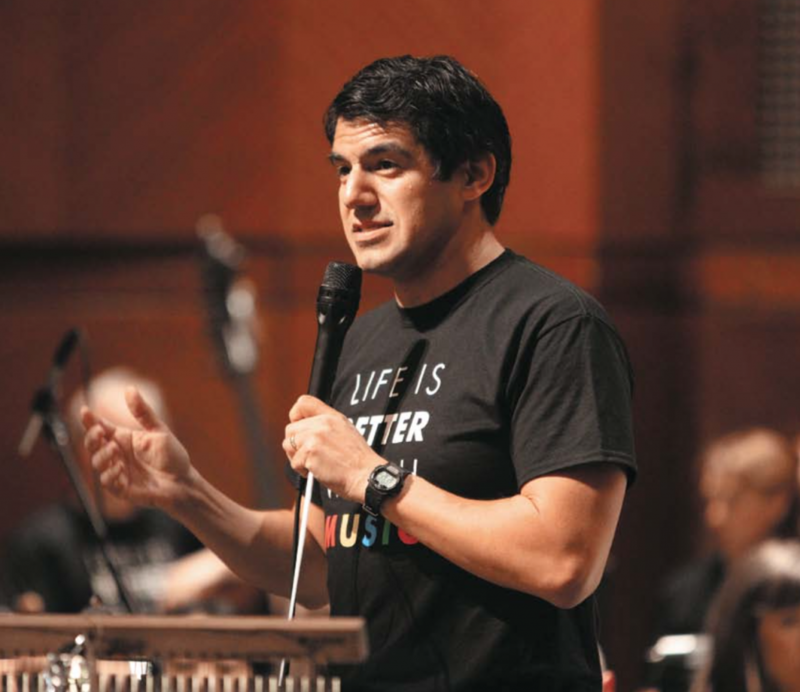 “There’s definitely a heightened awareness of the potential for growing an audience among Spanish-speaking people, but it’s hard to imagine that would be a driving force in hiring a music director. “Still, in every instance,” Rosen adds, “what’s most important is the chemistry that happens with an orchestra and the kind of music-making that happens. Having said that, I’m sure in some communities it’s a huge plus to have a conductor of Hispanic descent.” Much of the activity by orchestras to connect with Spanish-speaking communities, Rosen notes, is driven not by the music director but by other departments in the organization, such as education and marketing. Recent audience trends suggest that more targeted engagement with Hispanics will be necessary to turn them into repeat concertgoers. The 2009 Audience Demographic Research Review by the League—which combined data from the NEA and the Experian Simmons National Hispanic Consumer Study—found that participation rates among classical music audiences declined 9.3 percent between 2003 and 2007. Among Hispanics, the drop was not quite as steep, at 8.1 percent. But more telling was the study’s ten-year forecast: Hispanics’ share of the classical audience is expected to grow from about 12 percent in 2008 to 20 percent in 2018. This is driven chiefly by population increases, but also to some degree by a growth in interest and spending power among Hispanics. Nevertheless, significant challenges lie ahead. The League’s 2009 report acknowledges that “marketers are struggling to convert Hispanics to repeat attendance,” whether through Spanish-language media, grassroots awareness building, or festivals around cultural themes (Cinco de Mayo, Día de los Muertos). The report was also published well before the recent spate of conductor appointments and new Census data. The Chicago Symphony Orchestra set out two years ago with a plan to build its Latino audience. While the orchestra had long produced a patchwork of events for the city’s Mexican population, now it enlisted the Purple Group, a communications firm focused on the Hispanic community, to conduct market research. “Knowing that our community’s Latino population is growing, our marketing has to change with it,” says Liz Madeja, the orchestra’s director of marketing. In January 2013, the Chicago Symphony Orchestra formed the CSO Latino Alliance, a networking group that aims to spread the word about the orchestra through professional connections. The orchestra hosts quarterly pre- and post-concert events for the group, whose eighteen members invite their colleagues from the Hispanic business community. The CSO is building a database and has established goals of a 10- to 20-percent annual growth in Hispanic audiences, with a particular focus on 30- to 50-year-olds. Madeja says that the CSO Latino Alliance events have centered on Latino program- ming—reflected in the conductor, soloist, or program—though the orchestra is find- ing that members are also happy to come hear Tchaikovsky’s Romeo and Juliet. Orchestras are also wary of seeming to pigeonhole an audience they may not fully understand. Institutions like the CSO have found that improved, ongoing dialogue with a community is more crucial than top-down, one-time engagement events. Current thinking is that concertgoing habits, no matter where one is f rom, don’t come naturally. But orchestras can count on the aspirational factor: people of all colors and classes want their children to have exposure to music, and that may be a real key to bringing Latinos to the symphony. More than ever, as classical music works to entice new listeners, it will be essential for a music director to be a cultural leader in the community, a proselytizer-in-chief for the art form. Just as Yo-Yo Ma became a figurehead for Asian classical musicians a generation ago, and singers like Leontyne Price and Jessye Norman carried the flag for African-Americans in opera, Hispanic conductors may have a similar ability to reach kids from Paraguay to Portugal: they may see someone on the podium who looks like them, who speaks their language, who comes from their same country, and be inspired.